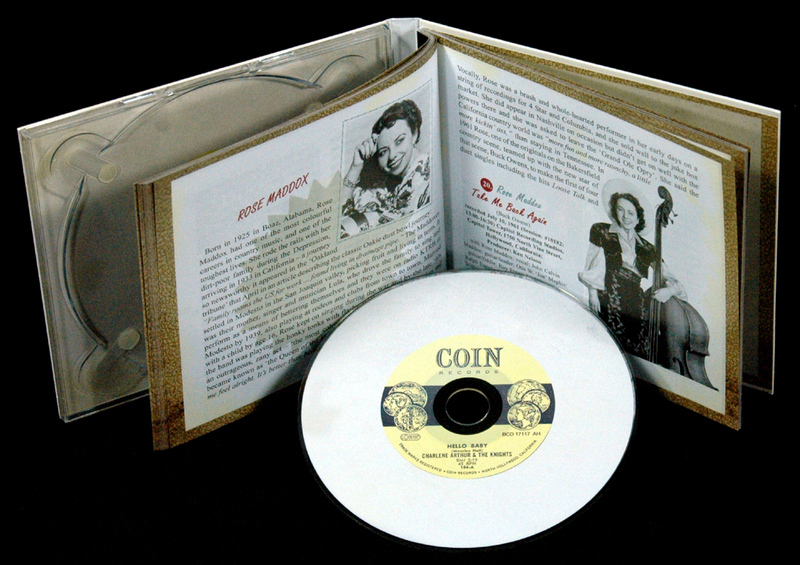 1-CD-Album Digipak (4-plated) with 76-page booklet, 25 tracks, playing time approx. 58 mns. 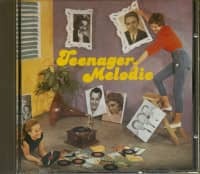 Back in the 1950s - when the juke box still had a proud place in every bar, honky tonk, diner and teenage hangout - it was one of life's great pleasures to hit those buttons and discover an unknown gem. In the case of the girl singers of country music and rock 'n' roll, we're talking pearls - shiny, smooth, and pleasing, but surprisingly tough also. The girl singers who became recording artists working on the borders between hillbilly and pop or rock 'n' roll, had to look soft but be strong. 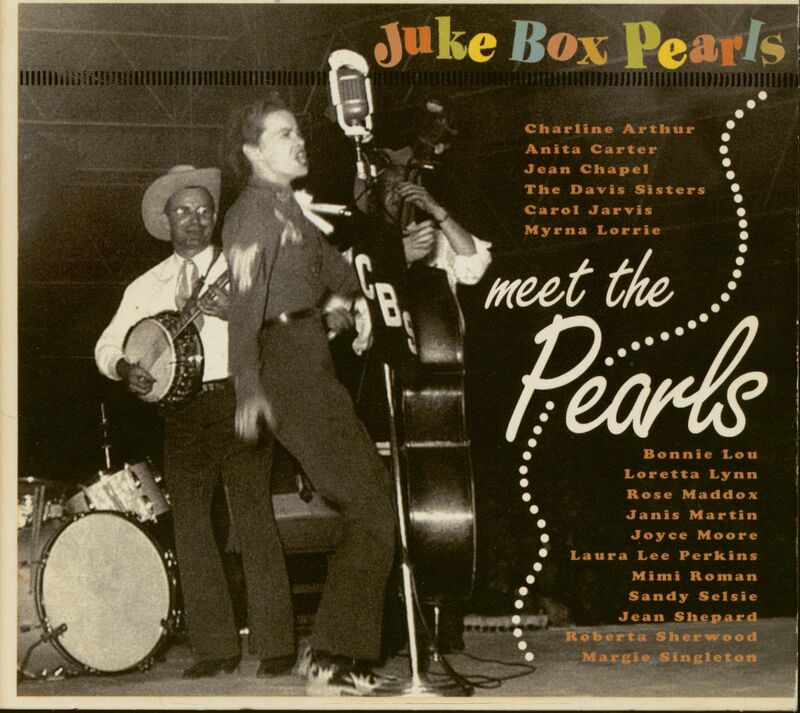 Every early morning radio show, western swing band or hillbilly package show had a girl singer, and so did the rock 'n' roll jamborees and one-niters when they came along. Many of these pearls found themselves offered a recording contract too — but most of them found that keeping it was hard. 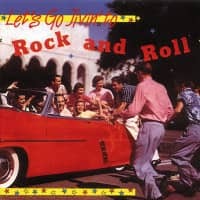 In June 1953 'Billboard' magazine remarked on the success of Kitty Wells and Goldie Hill in the country charts, with their #1 hits It Wasn't God Who Made Honky Tonk Angels and I Let The Stars Get In * Eyes : "the spark lit by Misses Wells and Hill [meant] labels were scouring the hinterlands for additional girl country singers." 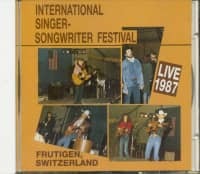 The magazine made clear that, "girl vocalists in any musical field are never as consistent in sales as are the male singers, [and] the country field has always been tough for female thrushes." 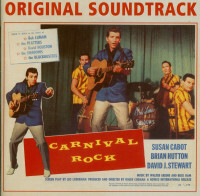 Those who survived to have prolonged careers making country or rock records - the likes of Kitty Wells, Wanda Jackson, Brenda Lee, or Connie Francis - were few and far between. 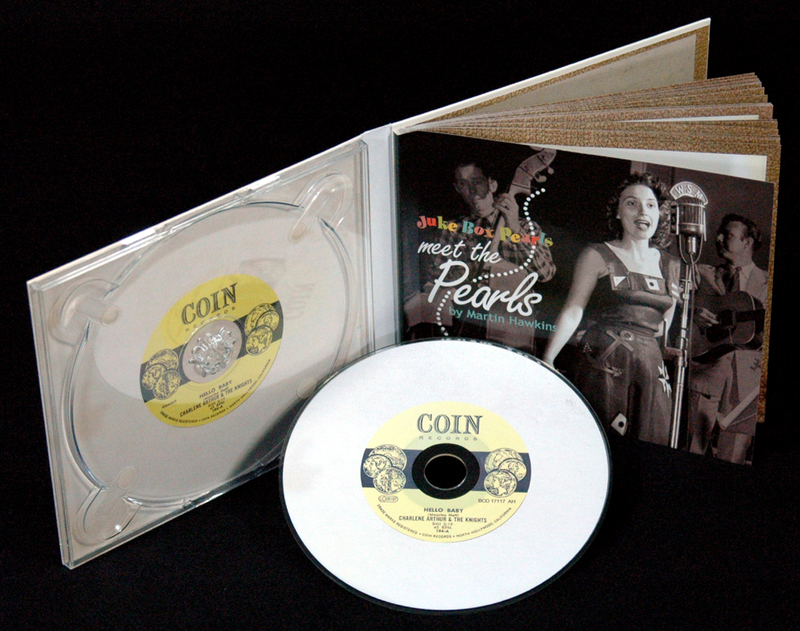 The shell of this CD opens to reveal 25 of the pearls you might have heard hidden away on '50s juke boxes. The songs take us from hillbilly to rockabilly, to pop ballads and back to country. They are sung by 19 girl singers who range from the sublimely talented to the barely talented, from the stars to the unknowns. You probably wouldn't have heard these all on the same juke box - unless the coin operator had as good taste as you and me - but every single one is a gem in its own way. So ... press 'play' and let the juke box keep on turning. 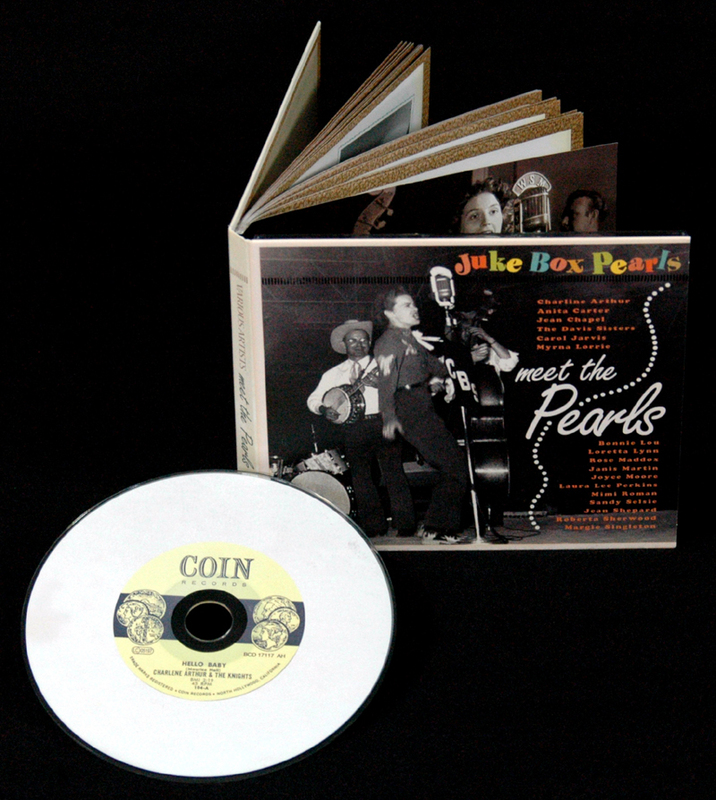 Customer evaluation for "Meet The Pearls - Juke Box Pearls (CD)"
Presse - Various Artists - Meet The Pearls - Jukebox Pearls - Ugly Things It has to be said upfront that this 'reissue series is built on a foundation so weak the concrete could have been mixed with quicksand. Out-side of committing to a single gender, nothing really makes sense. 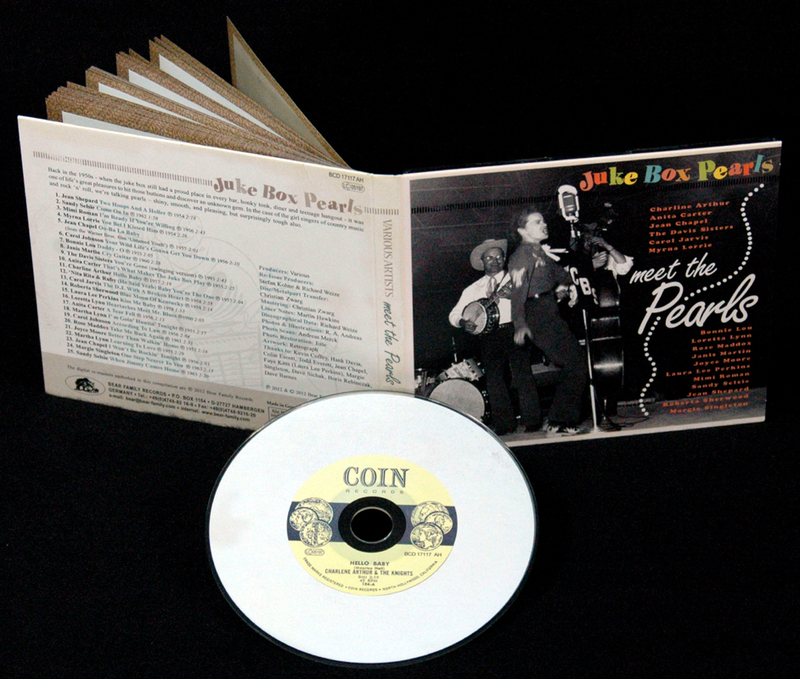 We are told that 'Jukebox Pearls' are girl singers from the Fifties (or some-times Sixties) recording rockabilly (or sometimes country...or even pop) who are pearlesque because they're 'shiny, smooth, and pleas-ing, but surprisingly tough,' and also because when you play one of these obscurities on the (oyster-esque?) 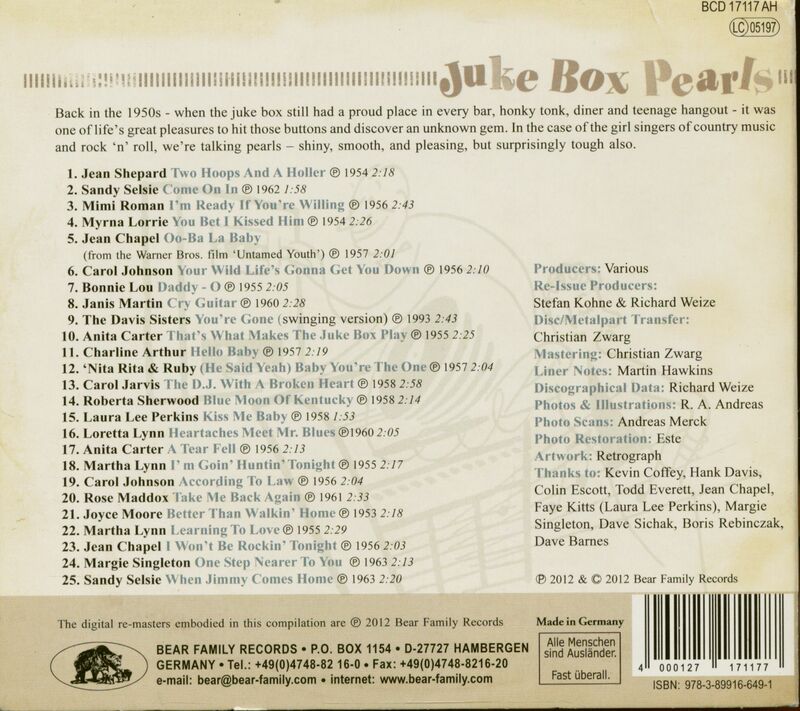 jukebox you find a precious, hidden treasure.